Pantone has announced their official color selection for 2019 which is very different than last year's Ultraviolet Hue. For 2019 the color is Living Coral (16-1546). The color is a major shift from what the color was last year which adds to the excitement. The designers are already set to consume the new Pantone color of the year: Living Coral in everyday lifestyle. The trends are being evolved to use this color to the maximum. Pantone 2019 color of the year is ready to be a part of numerous events, adding color and joy to weddings. When Pantone launched Living Coral as the color of the year, many thought that it was just a shade of pink. It is but it is also not. The color has its own identity which might be similar to that of pink. However, it is unique and has its own voice. Living Coral is described as a shade which mimics orange and gives a life-affirming shade of pink. Living Coral has a golden undertone which compliments it and makes it look even better. Basic millennial pink has not been a Pantone color. In fact, this color Living Coral signifies strength and creditability that cannot be identified through any other shade of pink. Pantone Color Institute is responsible for deciding the color of the year. They have their respective methods and surveys that are carried out to bring out the perfect shade of the year. 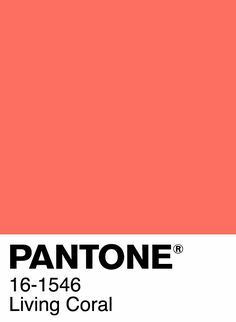 This year, Pantone has done a fantastic job in identifying Living Coral as this year's color. Living Coral will be the trend in numerous weddings, events, glassware, printing, and decoration. The color will prove to be a high pick by Pantone. How color influences our lifestyles is very important to understand. Those who think color does not have any say in their part of the world are mistaken. Color is dominating. It is what we need to get a direction. Color helps us make sense of what our likes and dislikes are more inclined to be. There is numerous custom glassware that are adopting this color to bring out the best in glass work — producing the most beautiful pieces of glass that set to soothe your eyes. Not only does the glassware indulge in making the most of Living Coral, but numerous printing decorations are also ready to play around with this beautiful tone. Pink never goes out of trend. The color pink will always remain many peoples favorite. Pantone, this year has chosen another pink-tinted hue that is ready to conquer the world. The color is a bright coral shade. It might seem a little bright, but Pantone explains how Living Coral is more of a subtle shade of pink in nature. Living coral highlights a tint of orange and purple. It is animated and vibrant that comes with golden undertones. Living Coral has its own identity. It is bright and not too dull. If you are unsure regarding the color theme concerning your big day, you might consider Living Coral. It is the perfect color of the season which will not disappoint you at any cost. The bridesmaid's dresses will look great in this beautiful shade of pink. The color is its spark that will add life to the wedding hall. Moreover, the table décor, napkins, etc. are well suited for this color. Living Coral will make sure your wedding day remains bright and refreshing just the way you want your day to be. As they say, every shade of pink narrates a different story and gives a different feel. If deciding the perfect color for your wedding is becoming a headache, go for Living Coral. You can trust this color for your big day. If you want your wedding to be a little formal, you can complement this color with gold which will help it stand out even better. On the other hand, brides looking for something a bit casual for their wedding can take the aid of white to go with their choice of Living Coral. The color gives a very rustic feel. Foreover, your wedding invitations, the floral arrangement, and wedding cake can all be made with this beautiful shade of pink. It will make your wedding beautiful and will make sure you have a ton of memories from your special day to cherish forever and ever. Living Coral is the color that is a real highlight of carefree happiness. It aims to hit the mark of optimism and joyfulness. Numerous glassware experimented in this shade of pink have been found to be extremely new. They seem to set a new trend which highlights joyful pursuits. Glassware made with Living Coral will stand out and give people a feeling of joy and happiness, something people crave these days. We cannot argue with the fact that the color we see around enhances and influences the way of life we experience every day. If one witnesses black and grey every day, they might start to feel dull. Adding color to life is very important. Living Coral is just what you need to add the token of energy and nourishment to your life which will be done through miscellaneous items starting from glassware. Custom glassware can include hanging glass mirrors, wine glasses and much more. The reflective glass material made with Living Coral will turn many heads. People would enjoy sipping their drink in a fancy wine glass made of a shade of pink that is the perfect blend of bright and dull. Pantone 16-1546 Living Coral is ready to present our collective experience and talk about how we are handling global culture in this contemporary world. Gone are the days where you would make use of black or brown decoration pieces for your living room or drawing room. In today's world, it is ideal to keep things full of life. This is done precisely with the aid of color as lively and fun as Living Coral. You can complement any color with this shade of pink. By doing so, you are giving yourself a huge favor by adding a bright color that will make your mood happier. For your living room, you can put cushions of various sizes and textures that come in this color. Table mats complemented with Living Coral will also add to the sparkle. Moreover, think about the wall-hangings of various tones of pink. Photo frames of Living Coral color will help your pictures stand out and look even better. Furthermore, Living Coral will prove to be an excellent choice for numerous printing options. It will help the text stand out and catch the attention of the user. Living Coral is bright; it is bold. This color can help capture the attention of the user instantly without much effort on the cover page of a magazine. Living Coral is the perfect color that is ready to make things interesting among art collections, fashion, playstyles, lifestyles, glassware, printing production and anywhere. It is precisely what you need to begin with if you are looking for the perfect color to add to your otherwise dull living room or bedroom.